My two younger boys look so much alike but they have different eating habits. The younger one loves fruits and veggies and the older one is a picky eater. They both have a hard time when it comes to protein and I am always looking for snacks that are healthy and filled with protein. One day when we were at the park with friends, my friend offered my boys a taste of their snack that they brought. The snack was called Harvest Snaps Snapea Crisps and I thought for sure that neither of my boys would like it as it was made from peas. I was wrong, they loved it and asked me to buy a package the next time when went shopping. 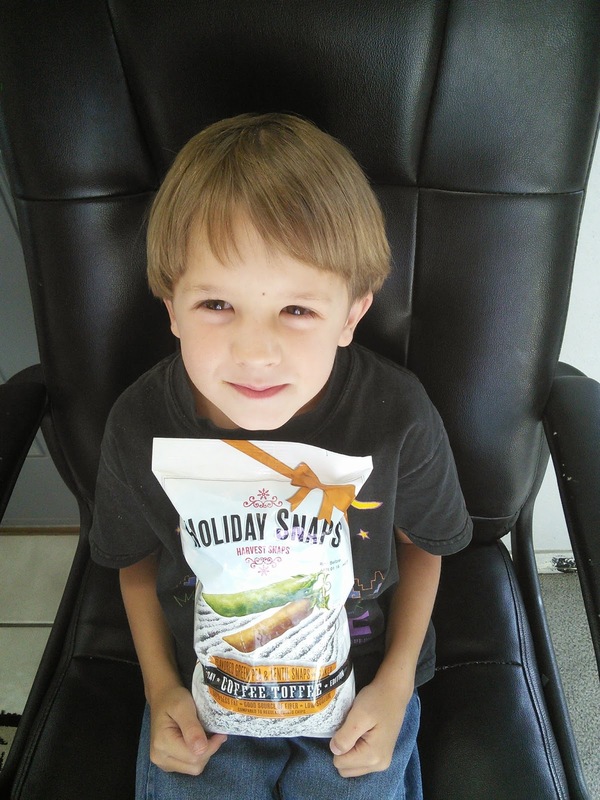 Harvest Snapea Crisps are now always in our pantry for a healthy go to snack for the whole family. Harvest Snaps Snapea Snaps is a snack that you can feel good about eating. Made with fresh natural ingredients and loaded with essential ingredients, these snaps will become a family favorite snack. 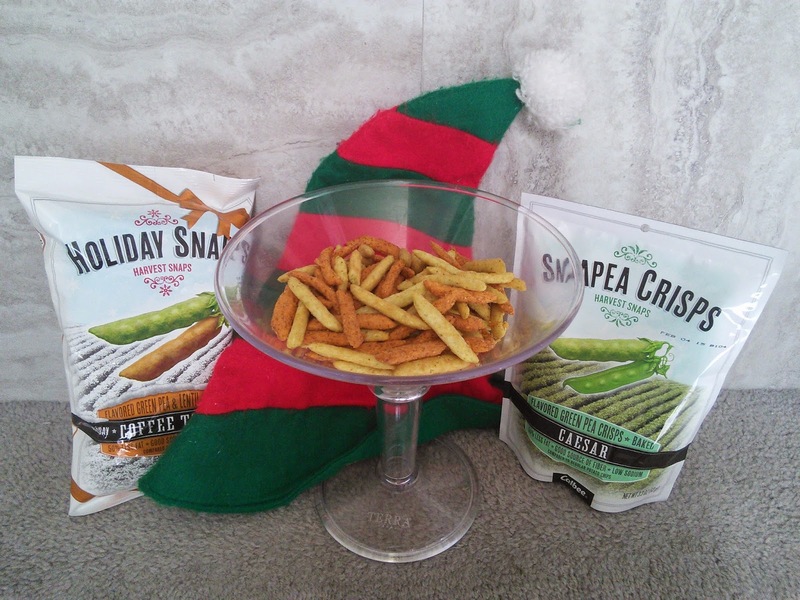 Snapea Crisps are made with all-natural peas- 70% to be exact. This snack that you will eat by the handful is loaded with vitamin B, calcium, iron, folate, potassium, protein, and fiber. They are also gluten-free and will satisfy your hunger without leaving you sluggish. Harvest Snaps has 3 new flavors just in time for the holidays. The new flavors have all the same great nutrition of the regular Snaps but come in flavors that are great for your next party. The new flavors are Salted Caramel, Cinnamon & Brown Sugar, and Coffee Toffee. These Snapeas are made with yummy peas and combined with the sweet flavors that will be a snack that you can feel good about eating. So it is totally OK if you eat the whole bag in one sitting, as I just did. Once you try one Harvest Snap you won't be able to eat just one. You can find these yummy Snaps at many stores like Target and Walmart. Click the below link to find them near you. I had to take a photo of my son holding a closed bag as he would not stop eating the Snaps when I gave them to him. He is smiling as he knows that posing for the camera will get him a snack of Snapeas. How would you like to win some Harvest Snaps? I am giving away an assortment box that will contain 2 bags from the new Holiday Snaps and 2 bags from the regular Harvest Snap flavors. Just enter on the Rafflecopter form below and good luck. I would love to try the salted caramel, sounds yummy! I absolutely love the wasabi ranch ones and I didn't think there could be another flavor I would like nearly as much. But Salted Caramel, Cinnamon & Brown Sugar sounds pretty awesome. The only problem I had with Harvest Snaps Snapea Snaps is not being able to stop eating them. They are so good!! The Cinnamon & Brown Sugar sound really good, so do the Salted Caramel. I'm going to have to try these! I would like to try the Holiday Coffee Toffee snaps.. Also like the salted Caramel. I'm hooked on Harvest Snaps. I'll go through a bag easily if I'm not careful. I absolutely love these and so do the kids. I really want to try the Caesar flavor, it sounds amazing! Please put links on your Pinterest entries... thanks. I would love to try the Coffee Toffee ones! - YUM!! I would love either the Salted Caramel ones or the coffee toffee ones. Thanks for the chance to win and try these! Oh I would love the Snapea Crisps: Wasabi Ranch crisps. The Wasabi Ranch sound really good. We're always looking for healthy snacks! I visited the Harvest Snaps site and I would like to try the Coffee Toffee variety for the holidays. i wanna try the cinnamon and brown sugar. Salted caramel sounds interesting! But so does Wasabi Ranch. The Salted Caramel and the Cinnamon/Brown Sugar is definitely flavors I'd like to try. The Cinnamon & Brown Sugar sound yummy! These are my husbands most favorite snack! They are so good! I tried the original flavor and they were interesting tasting. I haven't tried the flavored ones. It's a toss up between the Salted Caramel & Coffee Toffee. I could even get my kids to start eating these with those kind of flavors! I think I would want to try the black pepper from the regular flavors and salted caramel from the Holiday collection. Zeva LOVES these things. She's the ONLY person in the house who likes them, but she gobbles them up as fast as you give her a bag of them. I'd like to try the tomato and basil flavor! Wow, just what we need! Healthy, yummy snacks. These are a great choice for holiday snacking! I prefer Tomato Basil flavor! The salted caramel sounds yummy. I'd love to give them a try. I'd love to try the cinnamon brown sugar ones! The coffee toffee flavor sounds interesting! I've had the lightly salted ones and they were good. Both the coffee toffee and the salted caramel sound amazing! Yum they sound great! I love salted caramel everything! From the website, Id love the Tomato Basil Snapea Crisps. I would like to try Tomato Basil and Lightly Salted. I'm most excited to try the Black Pepper snaps! I would love to try the Tomato Basil Lentil Snaps. I would like the wasabi ranch for salads. 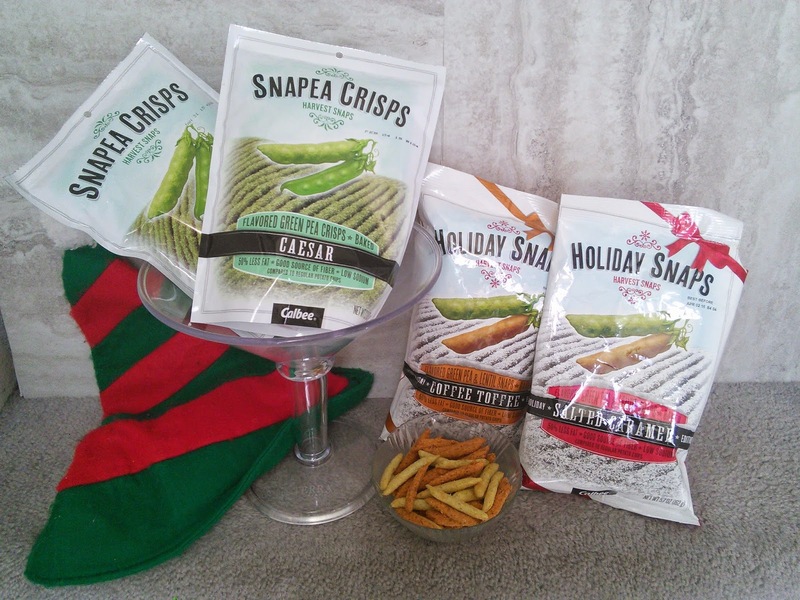 The Caesar Snapea Crisps sound great! I want to try the Caesar or the Black pepper Snapea Crisps. I really want to try the holiday flavors that are out, starting with the salted caramel. I love Harvest Snaps. I haven't seen these new flavors in the store that I shop out but will be on the look out. Thank you! really want to try the holiday flavors I haven't seen them in the store yet and also the black pepper. SALTED CARAMEL HOLIDAY SNAPS would be my first choice. The Lentil Snaps: Tomato Basil sounds absolutely divine! I am most excited to try the cinnamon and brown sugar! Want to try the snap peas! I'd be most interested to try the Tomato Basil flavor. The carmel one sounds really interesting to try. Never tried these, sound delicious! I am already addicted to the Black Pepper Snapea Crisps. I would also love to try the Onion Thyme Lentil Snaps.